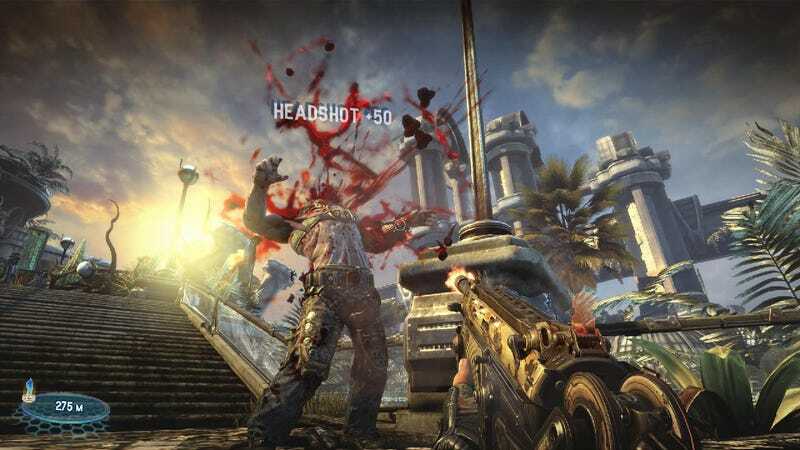 Mike Capps, president of Gears of War development studio, doesn't regret Bulletstorm. That game got a lot of hype—and some extraordinarily odd press coverage—when it was released earlier this year. It was an odd first-person shooter that was vulgar in tone and creative in execution, rewarding players for, well, being creative in how they executed kills in the game—more points, for example, if you shotgunned a guy into a giant space cactus. I played it, enjoyed it, and tell people it's one of my 2011 favorites so far. But Bulletstorm could hardly crack 300,000 units in its first month, according to a financial analyst. Someone from its publisher EA recently told me the game "under-performed." And Capps told me yesterday that it "didn't make money for us." A game to regret, though? No way. Capps is keynoting Game Developers Conference Europe next week month, where he will deliver a talk on the topic of making high-quality games. Epic may be defined by some people as the Gears of War studio and by others as the profitable mechanics behind the widely-used Unreal graphics engine. But they've also turned out to be a studio that keeps making highly-regarded games, including the critically-acclaimed Infinity Blade, which is considered one of the best iOS games out there, and Bulletstorm which did very well with critics. Capps' talk is called "Size Doesn't Matter: How Epic Brings AAA Attitude to Every Game, from Gears of War 3 to Infinity Blade." The idea, he told me, is to dispel myths people may have that Epic's games are high-quality due to infinite budgets or unlimited development times, neither of which the studio actually enjoys. He wants to emphasize that even back during Epic's Unreal Tournament days, the company did some of its best work thanks to an internal drive to keep polishing and experimenting. Headshots, a;t fire, triple kills—some of the signature elements of the first UT that other studios then riffed on—he said, were only added in the game's final six months. These days, Epic is trying hard to make top games on a variety of machines, games that are certainly good ads for Epic's Unreal Engine on the various platforms on which it runs, but also just very good games. Some are hits. Some are not. Would it have been nice to make money on Bulletstorm? Sure. Capps says they could have taken the easy route all along, not done Bulletstorm and gotten People Can Fly, the Epic-owned Polish development studio on that game to just churn out Gears of War content. That's not what he wants those folks doing. That's not what he wants Epic doing. "The studio has shipped AAA content," he said. "The next thing we do with People Can Fly will be great." I hope Capps will use some of his talk to discuss why Bulletstorm didn't thrive, a topic we didn't have time to go into during our brief chat. I wonder if it was too short, too new in a crowd of shooter games or too lacking in addictive online gaming—it was the rare first-person shooter with no competitive multiplayer—but who knows. If only all the games that studios were proud of could be hits. Capps' keynote will help kick off GDC Europe in Cologne, which runs August 15-17.